Purchasing this item will earn you 66 reward points (Loyalty points $0.66) ! 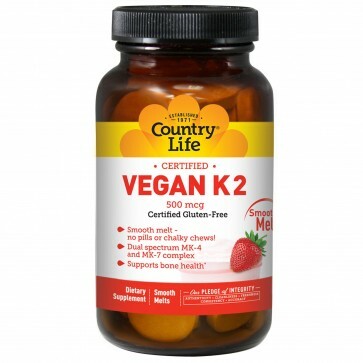 Country Life Vegan K2 Smooth Melts 500 mcg 60 Tablets makes taking supplements easier than ever - no pills to swallow, no need for water, no chalky chews! 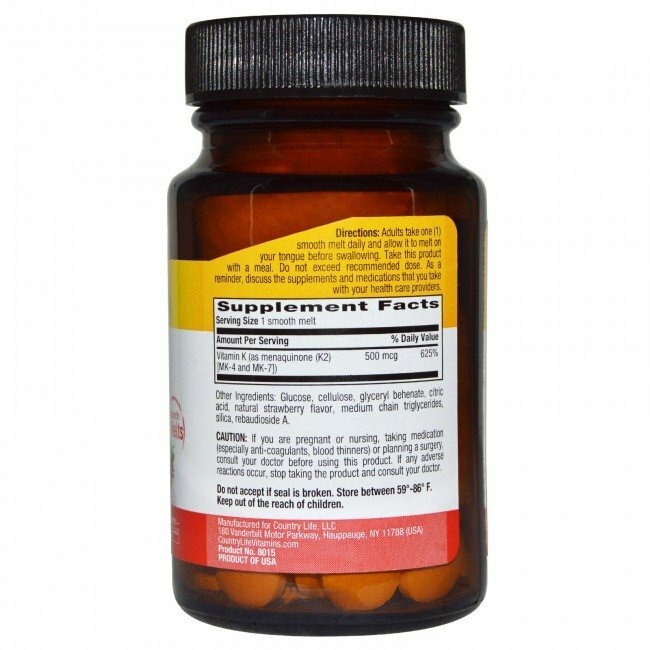 Emerging research shows that Vitamin K2 aids in bone formation. 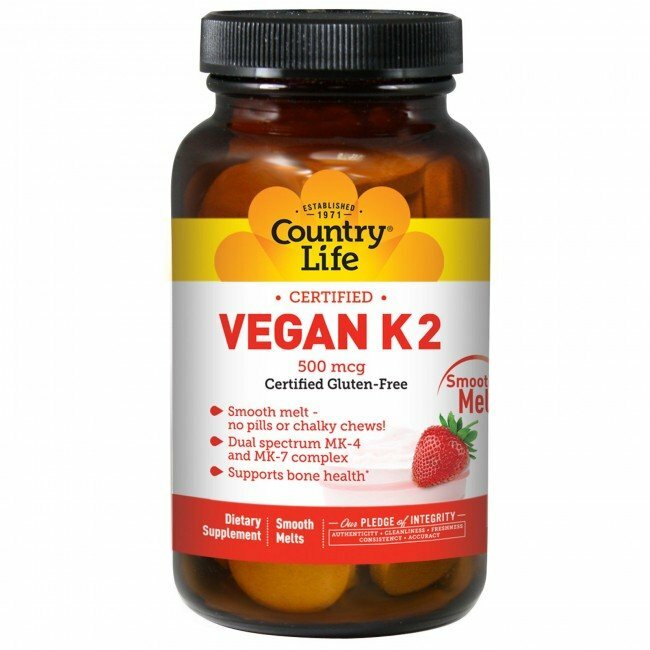 For optimal bone health, include vitamin K along with calcium and vitamin D. Country Life uses a dual spectrum vitamin K2 complex including 400 mcg of MK-4 as well as 100 mcg MK-7. This delicious, smooth melt makes taking supplements easier than ever - no pills to swallow, no need for water, no chalky chews! Directions: Adults take one (1) smooth melt daily and allow it to melt on your tongue before swallowing. Take this product with a meal. Do not exceed recommended dose. As a reminder, discuss the supplements and medications that you take with your health care providers. Glucose, cellulose, glyceryl behenate, citric acid, natural strawberry flavor, medium chain triglycerides, silica, rebaudioside A.